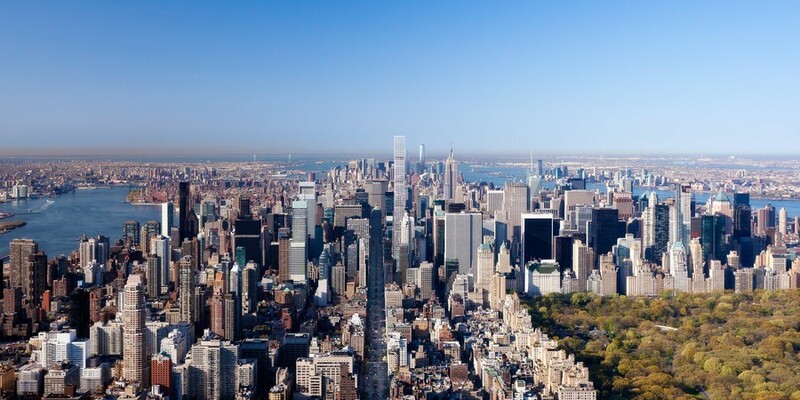 Viñoly’s vision for 277 Fifth Avenue, the tallest residential building on Fifth Avenue, leaves a lasting impression on an iconic New York streetscape. His contemporary design features elegant proportions and corner exposures through floor-to-ceiling windows from every residence and a façade composed of high-performance cast panels, custom fabricated in Finland in a bespoke Indigo color. 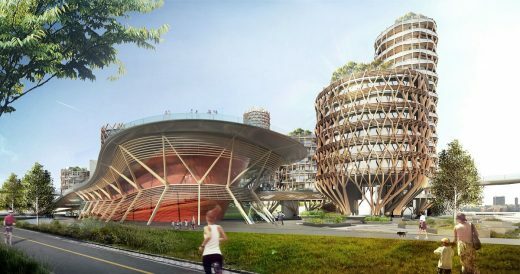 A standout feature of the tower is a quartet of distinguished loggias—sheltered, double-height, open-air spaces for leisure and entertaining. 277 Fifth Avenue features a collection of 130 one- to four-bedroom residences. The double-height, open-air loggias spiral downward from the top of the tower and are seemingly carved out of the building’s corner. Situated on the tower’s uppermost floors are three penthouses—each with four-bedrooms; ceiling heights in excess of 13 feet; and expansive living, dining, and family rooms with multiple exposures. 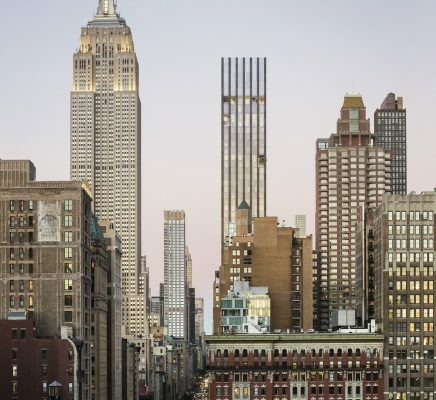 Jeffrey Beers International designed the tower’s column-free layouts with wide plank American white oak flooring and custom door hardware throughout. Contemporary, high-performance kitchens boast fully-integrated Miele appliances; light stained white oak cabinetry; Calacatta Saccheli polished marble slab countertops, backsplash with integrated cooktop niches and island countertop with waterfall edges; and undermount Blanco stainless steel sinks. Sumptuous master bathrooms are adorned with Bianco Dolomiti marble tile flooring and San Nicola marble tile walls. Each elegant oasis is outfitted with a custom walnut vanity, Kohler Kathryn sinks, Dornbracht LULU series facets, and a Kaldewei Puro Duo steel enamel bathtub. Residents will enjoy exclusive access to two levels of curated amenities connected by a dramatic, curving staircase. Features of this private club include a gorgeous Lobby Library with a dramatic, double-height bookcase wall; entertaining suite with separate bar and kitchen pantry; private dining room; Kids’ Club; Games Lounge with custom ping pong table; Fitness Club with separate training/yoga studio as well as Men’s and Women’s Spa with steam/sauna rooms; and furnished Fifth Avenue Terrace. 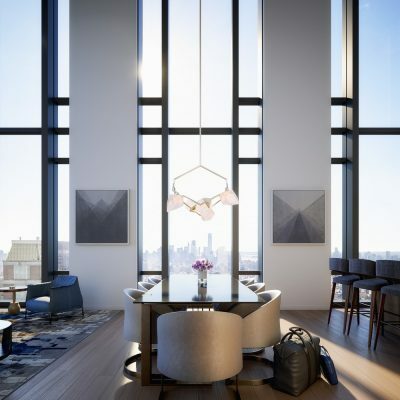 The full-service residential experience at the property will also include private storage/bike storage, pet priority program, dry cleaning program and vehicle concierge, as well as full-time doorman/concierge. 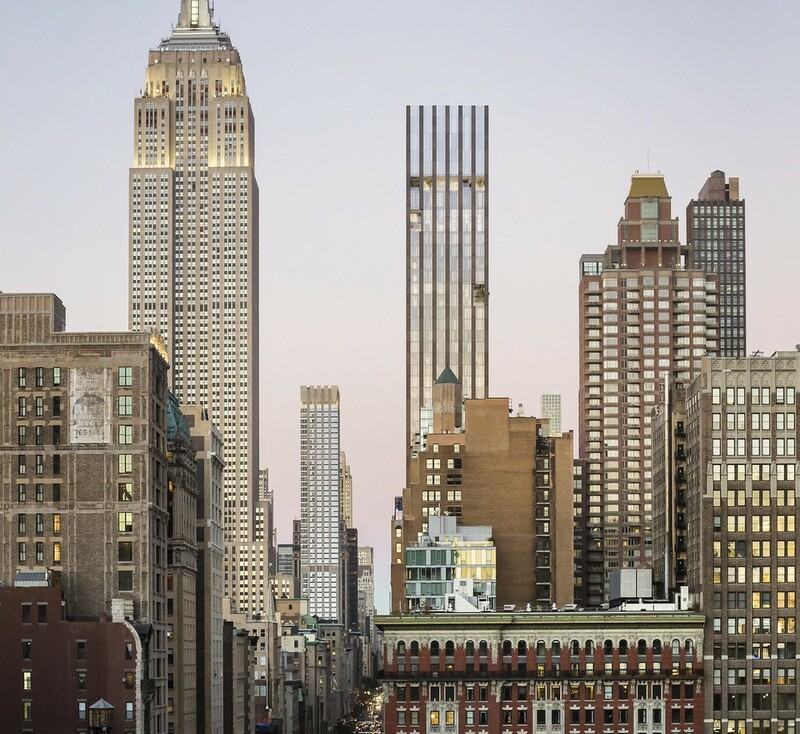 277 Fifth Avenue is ideally located in vibrant NoMad, an area with an abundance of premium dining, shopping, art galleries, and entertainment. Neighborhood staples include The NoMad Hotel, Dover Street Market, Upland and Scarpetta, which recently relocated from the Meatpacking District—a mark of the area’s evolution. 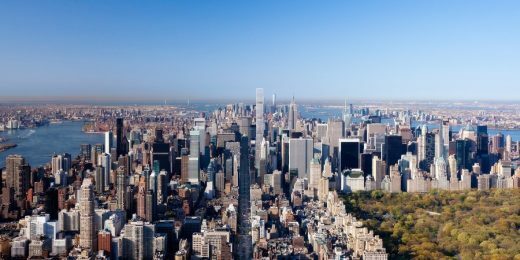 NoMad is only blocks away from Madison Square Park and Bryant Park, as well as popular fitness and wellness offerings like Madison Square Club, SoulCycle, Exhale Spa, Equinox, and Barry’s Bootcamp. 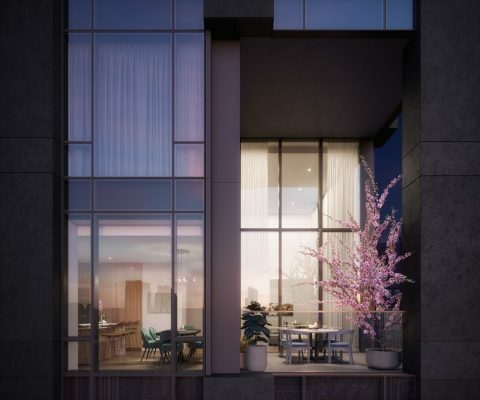 Residences at 277 Fifth begin at $1.9 Million. 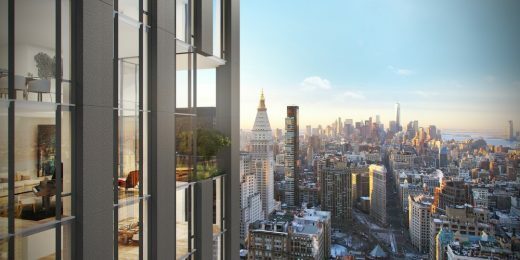 For additional information, please visit www.277fifth.com.